The ultimate guide to the 7 best rooftop bars in Istanbul in 2019. Complete with all info you need about each rooftop. Opening hours, dress code, pictures, maps, booking links and much more. Istanbul is one of the biggest cities in the world, making it one of the best rooftop cities in Europe. 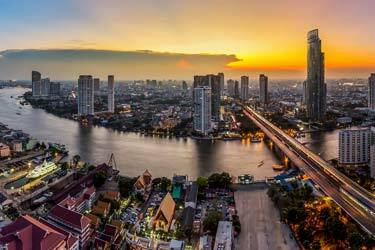 The vast city contributes to the wide spread of locations for the roof terraces. Some on fancy restaurants and some with spectacular rooftop infinity pools. So, which is the best rooftop bar in Istanbul? 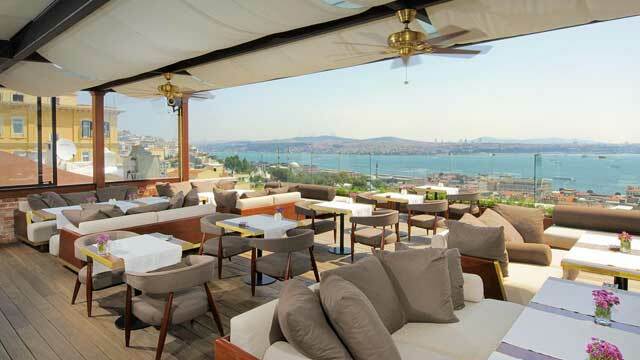 Just scroll down and find the Istanbul rooftop bar best suited for you. Or use the Istanbul rooftop map in the bottom right corner. 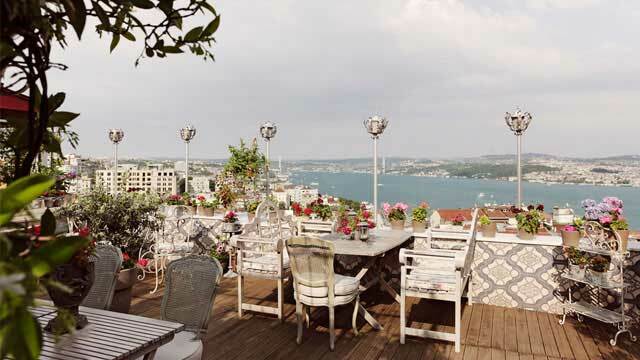 The rooftop terrace Mikla at the Marmara Pera Hotel has pretty much everything one could ask for. 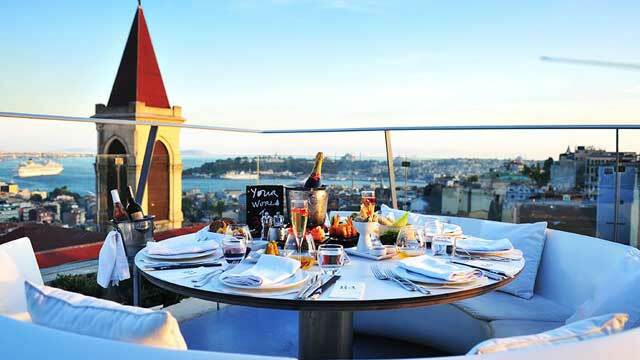 Rooftop pool, rooftop bar, rooftop restaurant and a stunning view over Istanbul in every direction. Most famous is probably the restaurant part of Mikla, which earned spot nr. 44 in the Worlds 50 Best Restaurants-ranking of 2018. 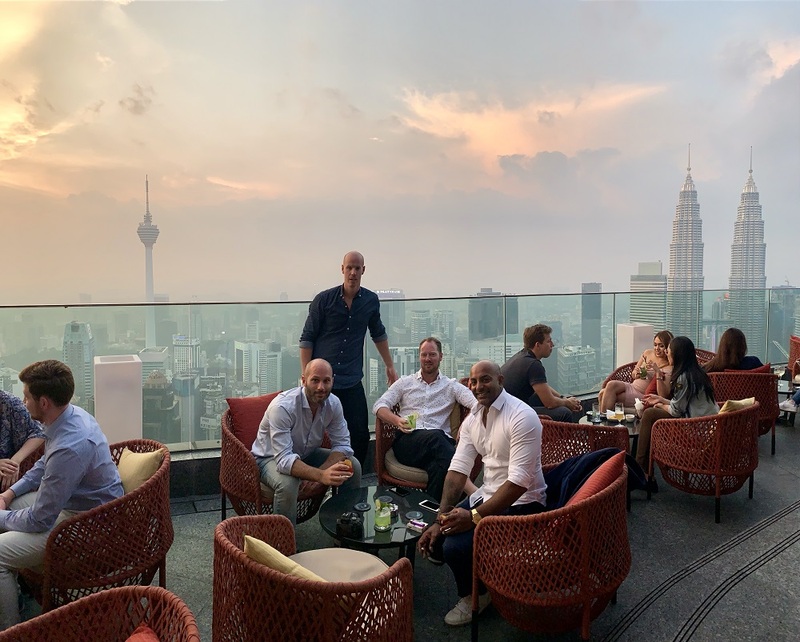 But apart from food at the very highest class, you can also visit the rooftop bar, that offers great cocktails and mellow vibes in a very stylish setting. Or even better, stay at the hotel and also enjoy the fantastic rooftop pool. Close to Galata Tower you find the fabulous boutique hotel Georges Hotel Galata, and on the top floor a lovely rooftop terrace that offers magical views of Bosphorus and the Golden Horn. Open to all, the rooftop has a stylish contemporary setting and here you can enjoy international cuisine, mostly French-inspired, along with well-crafted cocktails and a good selection of French wines and champagnes. With a relaxed and sophisticated vibe, you can visit for a romantic dinner or just late night cocktails, looking out over the amazing night-time vistas of the Bosphorus. 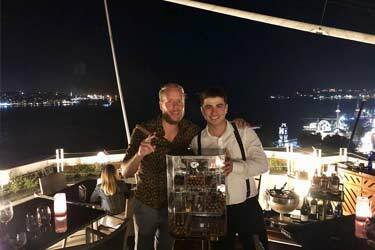 This multi-level terrace bar and restaurant is a real 'happening' place, perched on top of of the Swissotel, located on the European banks of the Bosphorus. From the rooftop you get a magnificent view over Bosphoren and the Asian part of the city. Here you can enjoy great international food every night (7-11pm), complemented with a really impresive wine menu along with a 'Sky Menu', ranging from well-crefted signature cocktails to a wide range of beers and cigars. Always a vibrant atmosphere, but really kicking off during weekends with live acts and DJs. About 5 minutes walk from Taksim Square you find the roof terrace 5. Kat, which is a small but very cozy café, bar and restaurant with a breathtaking view over the Bosphorus. The setting on the terrace is almost as beautiful as the views, picturesque and stylish at the same time with intimate dining tables, lots of greenery and also a very nice bar. Here you can enjoy large menus of both food and drinks, with great mediterranean and local style food and a wide range of drinks, from classic cocktails to raki. All in a harmonius vibe and with a very friendly service. From this roof terrace you get one of the best views in Istanbul, really worthy of its name, the 360-degree views reach almost as far as Istanbul can take you. 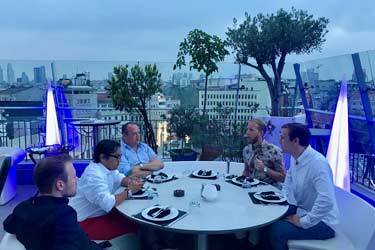 The 360 rooftop has a concept containing 4 words: CUISINE, ENTERTAINMENT, VIBE and AMBIANCE. And this is what you can expect, good Turkish meze fused with international cuisine, a wide range of drinks and a very vibrant and fun atmosphere, often highlighted by different live acts and perfomances. Especially during weekends and the Club360. A genuine Istanbul restaurant and rooftop bar. Recently refurbished and situated over two floors it comes with several different and cosy venues. The ones with the very best views of Bosphoren is the 7th floor dining hall and bar, along with the top floor summer terrace 'Captain's Quarter'. With seats for about 20 people, this open air terrace is a real gem. The dining room and bar is more like garden houses, with floor-to-ceiling windows and retractable roof. Here you can enjoy food prepared with local ingredients along with a long wine and raki list and well crafted cocktails. 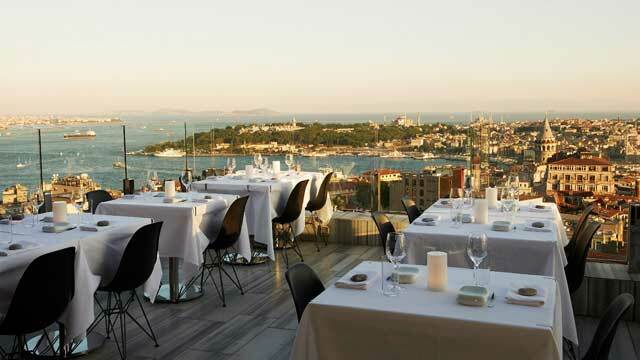 A chic and minimalist rooftop restaurant and bar, located on top of the Bjk Plaza in Besiktas. 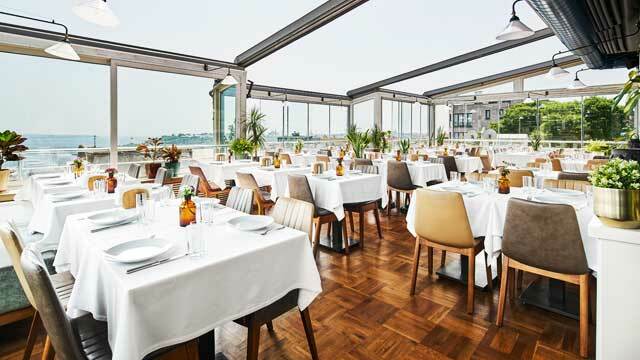 Vouge delivers amazing food, unbeatable views of the Bosphorus along with a trendy atmosphere. And, a very cool molecular cocktail menu. Enjoy a wide range of world cuisine dishes, from pasta and grills from the Josper oven to over 70 varieties of sushi. Everything very well made. Vogue also have an impressive list of both local and international wines. Open from noon, so works well for lunch, dinner or cocktails any time, but preferably timed with the magical sunset. Discover the biggest collection of Istanbul activities, guided tours and skip-the-line tickets. Anything you want you'll find right here. 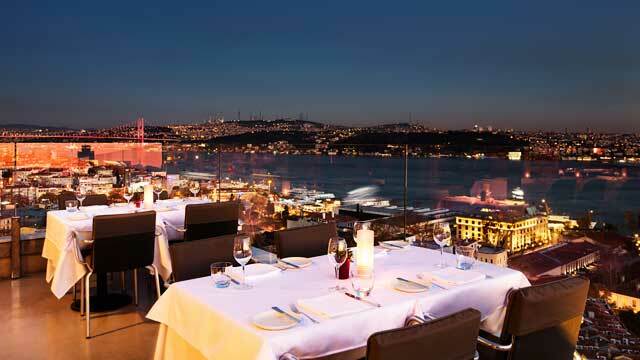 For those who like to enjoy food and drinks there are plenty of good restaurants and rooftop bars in Istanbul. The climate here is almost always warm and because of that you can enjoy the roof terraces all year round. There's a lot of fantastic terraces in Istanbul with magnificent views and vistas. Given that Istanbul is one of the world's 10 largest cities, the Istanbul rooftop bars here are quite scattered. Most, however, around the Taksim Square and the slightly more central areas. 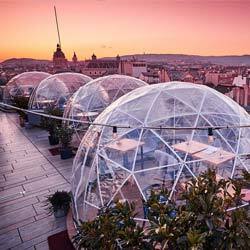 Due to the warm climate and the size of the city, there are some very good opportunities to find some awesome rooftops for those who are looking for a place to drink with a view at here. Between some roof terraces there’s walking distance, while others require a taxi ride. As a tourist, it's very convenient and affordable with taxi here. The typical Istanbul rooftop bar is located at a restaurant with breathtaking views over the city and sea. Istanbul is Turkey's largest city with about 15 million inhabitants. 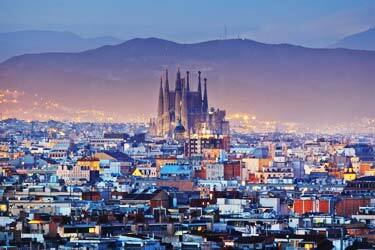 With that number, it is also one of the world's largest cities. 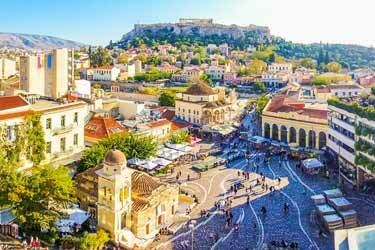 The city is divided into an Asian and a European part, where 60% of the population lives in the European part. The city is also Turkey's economic and cultural center, even though it is Ankara that is the capital of the country. Istanbul is surrounded by water, the main reasons being the Bosphorus and the Marmara Sea. There are numerous attractions in the city such as the Blue Mosque, the bazaar or to watch a soccer game with any of the city's top teams. Which are the best rooftops in Istanbul? 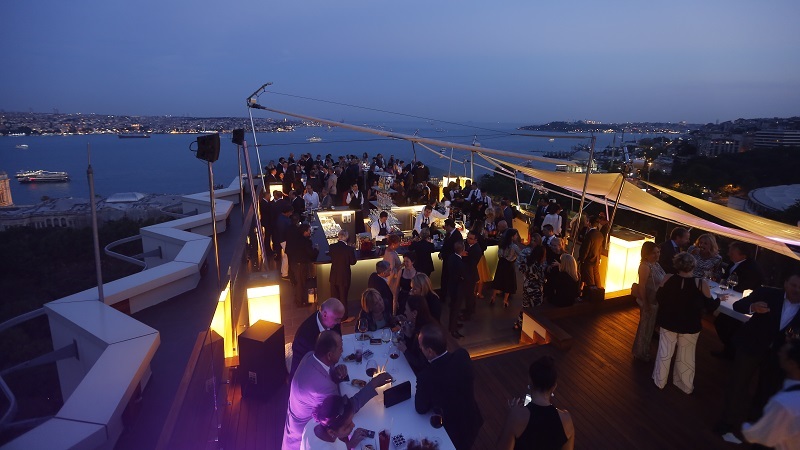 Among rooftop bars in Istanbul, you can find both fantastic food, healthy drinks and really good party. Some of the city's best and most luxurious roof terraces have fantastic restaurants. Here you can eat both Turkish and international cuisine to the view of the skyline of Istanbul, the Bosphorus and the Sea. As for drinks at the rooftop terraces of Istanbul the most classic range of cocktails are available and also beer and wine of course. What is special here is the Turkish specialty raki, which can be ordered from the city’s rooftop bars. 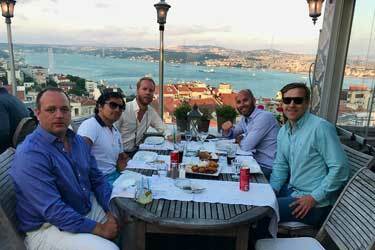 Partying until the early hours at a rooftop bar in Istanbul is not that common. Here you mainly hang out to drink cocktails or eat good food, before heading off to one of the city's nightclubs. Istanbul is one of the world's largest cities, and here there are a lot of high-rise buildings with absolutely stunning rooftop terraces. Most of Istanbul's rooftop bars are located in high-rise buildings or a building on top of any height, to get a good overview over the city. The view can be obtained from the terraces can be quite magical. Everything from the views of the Bosphorus, the city center, the Blue Mosque and the sea. If you put the view in the first place when visiting a rooftop bar, then Istanbul is a very good city to visit. There are lots of things to do in a mega city like Istanbul. Here you can visit the famous mosque Hagia Sofia is the most famous landmark in the city, take a boat trip on the Bosphorus (which separates Asia and Europe), stroll around the Grand Bazaar and buy raw materials and miscellaneous stuff or take a Turkish bath, which is said to purify both body and soul. For those who are interested in sports, there are three big football teams in Istanbul. Galatasaray, Besiktas and Fenerbahce. All plays in the Turkish top league. If you want to see on a derby between these teams should be aware that it can get really messy. Istanbul has almost all the prerequisites for being a city where it is ideal to have a rooftop pool. 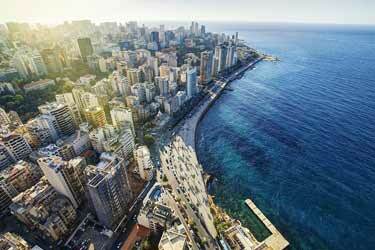 Here there are some luxurious and stylish rooftop swimming pools with stunning views of the city and the sea. There is something special to be in a swimming pool on a roof and just look out over the city and its surroundings. The city view in Istanbul is very powerful, and also has one of the world's coolest sunrises. And why not experience it in a rooftop pool. 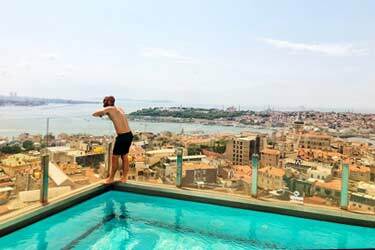 The rooftop pools in Istanbul may only be used by hotel guests. Book a hotel with rooftop pool directly with us and take advantage of the best rates and deals right now. Istanbul has two major airports. One located little outside of town and the other a little closer. Both airports are very busy and aircrafts from around the world take off and land here daily. As we mentioned earlier, Istanbul is one of the world's largest cities, which also offers an incredible large range of hotels. Many of the hotels in Istanbul also has really good roof terraces. Book a hotel on our site and take advantage of the best prices and deals on the market. 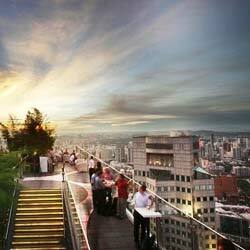 Want a rooftop bar at your hotel? It can be booked directly on the site of the rooftop bar with us.